It’s been a while.. too long actually, since I had cheese straws. What?!? You don’t know what cheese straws are?! Well they are just the BEST snack ever!!!!!! OK, seriously, they’re a herbed cheese pastry. My mother used to bake a lot when we were younger and this was one of my favorites. 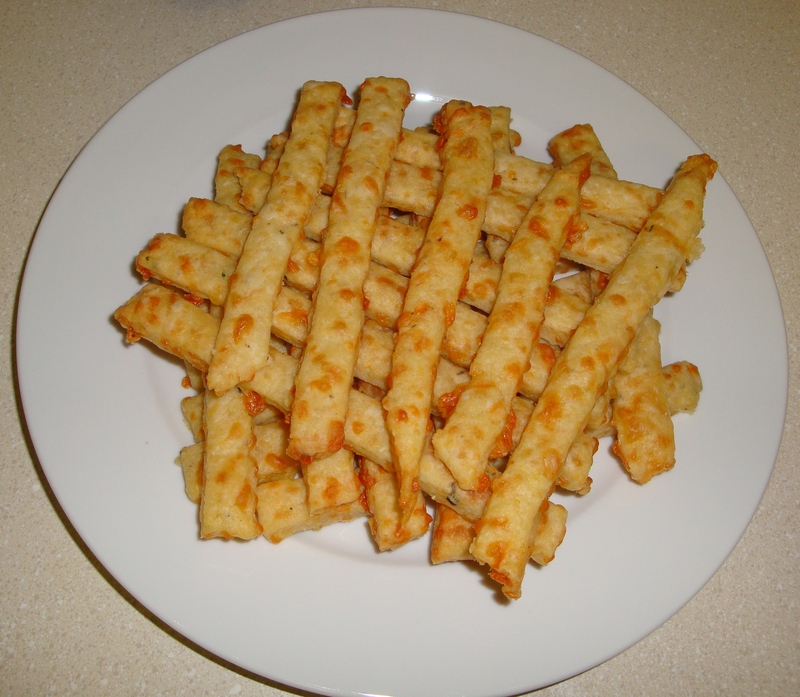 (Sorry if I told this story before but I guess you’ll read it again :D) A few weeks ago my husband and I drove past somewhere and what we’d smelt reminded us of cheese straws, since then we’ve had a craving for them. I’ve always been the “chef’s assistant” to my mum when she baked but never paid close attention to measurements – I’m really thankful for Skype today. I’d bought the ingredients earlier this week and 2 more today to surprise my husband this evening with this treat :). I can now put Cheese Straws under my belt with Apple Crumble for my baked goods :). I wish you could taste them. They’re awesome! !